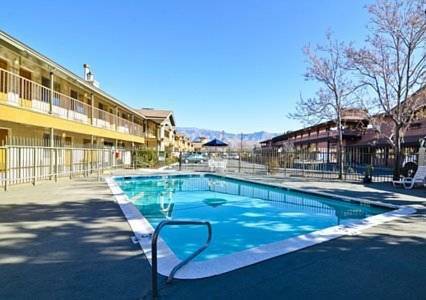 Hotel is surrounded by the High Sierra Mountains with a Swiss Village atmosphere. All rooms have coffee makers, refrigerators, microwaves, free high-speed Internet and free movies. Rooms are large, clean and comfortable. Skiing, snowmobiling, hunting, fishing, and hiking are nearby. Pet charge of 15.00/night per pet, limit 2 pets per room. It is our pleasure to inform you that we are in the process of upgrading our breakfast room and lobby, for all of you, our valued guests! The renovation process will be completed by mid-February, 2014 or earlier. Here at the Bishop Comfort Inn, every effort is being made to ensure you enjoy your stay. If you have any concerns, we are pleased to assist you with them. Thank you for your continued patronage during this transition!